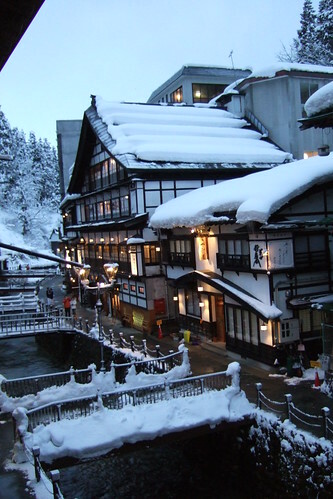 Photo: Ginzan onsen in the evening. 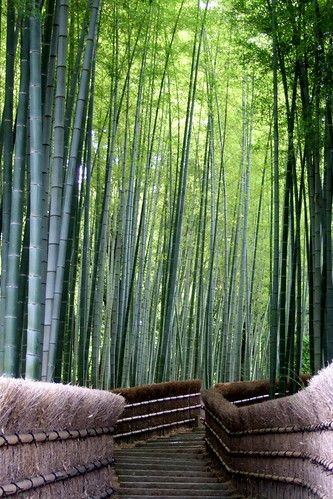 Photo: Adashino Nembutsuji (temple in Kyoto). 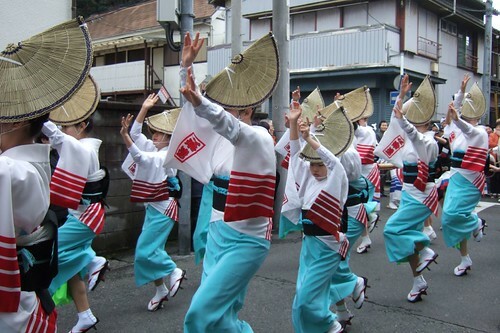 Photo: Local festival in Taura, a short walk from our house. 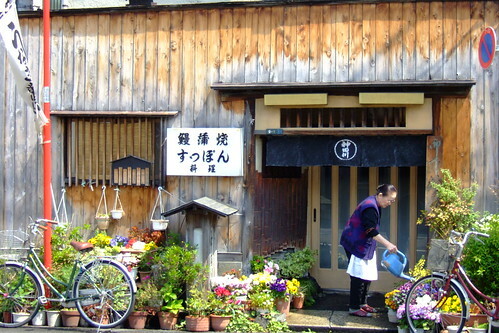 Photo: Scene in Ryogoku, Tokyo. 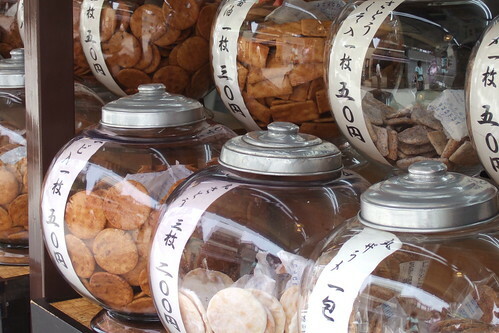 Photo: Chikyoubin (large spherical jars for crackers). 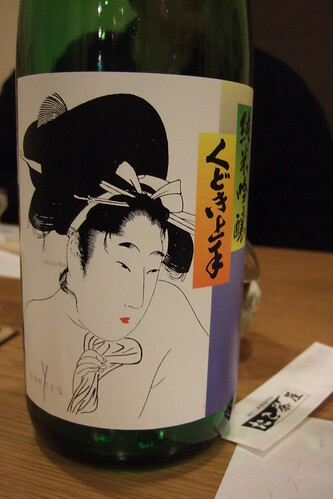 Photo: Kudoki Jouzu Junmai Ginjo, a sake tasted during John Gauntner’s Sake Pro Course. 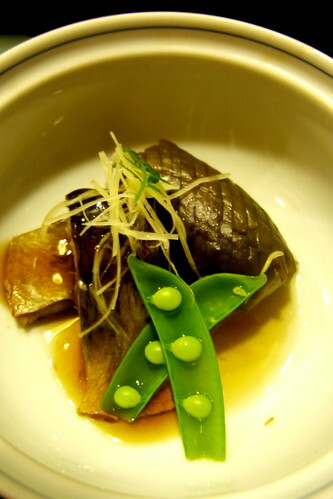 Photo: Eggplant and herring braise at Hikage Chaya, a 350-year-old restaurant in Hayama. 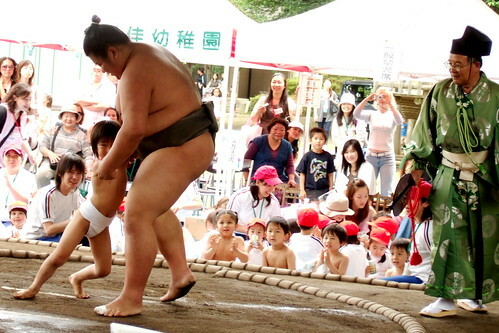 Photo: Play sumo at local elementary school. 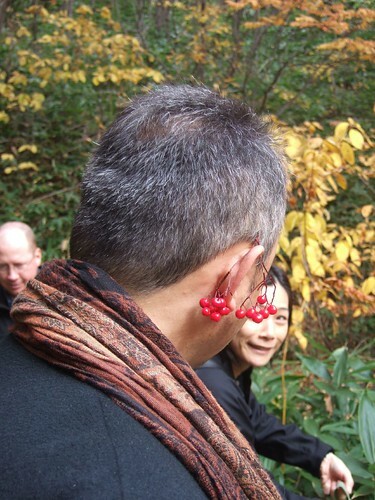 Photo: Trip to Hokkaido with friends. 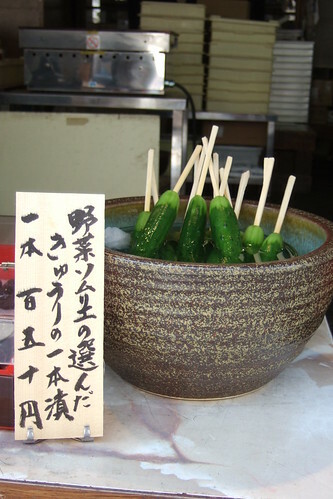 That sake (くどき上手) has an epic name. Does it/did it have flavor to match? Where can I get some?